Great service, trustworthy and dependable! This was the first time Adam has come. He was punctual, thorough and well polight 😊. I am completely satisfied with Terminix and the two gentlemen that came to inspect and give me details on the treatment I needed. Bruce was so intelligent and thorough in explaining the circumstance with me. Bruce came back with Emmett and again I was so pleased with the manner of these two gentlemen and how knowledgeable and thorough they were. Thank you! LEE Thompson IS THE BEST REP THAT YOU HAVE EMPLOYED AS FAR AS I'm CONCERNED..HE IS POLITE, KIND AND CONSIDERED..VERY KNOWABLE ABOUT THE COMPANY AND LETS YOU KNOW WHAT YOU NEED.. THANK YOU FOR PEOPLE LIKE MR.THOMPSON. Lee Cummins has to be the best person you have at terminix. He is always so polite, courteous and very help.. Always there to help with any questions or problems or concerns . .Thank you Lee. We’ve been very pleased with our service. The gentleman that has been servicing us is excellent. He will be sorely missed. Thanks to the team at Term is for excellent job they did And for professional service from Kevin for all his help throughout the process. We had so much damage under our home from the recent hurricane florence . We enjoyed the specialist who delivered our product. He was professional, knowledgeable, and worked with diligence. If just half of the terminix work force is as competent as this representative, then Terminix has my business. Terminix takes care of your home and will answer all your questions. The staff we have worked with, from managers to techs have been efficient and knowledgeable. Bruce has worked with us and is very knowledgeable. Everything was professionally done in a timely manner. We have been a client for 2 years. Lee Thompson one of their rep. came to our house today and we signed a termite contract. He was very courteous and professional and prompt. I started seeing a difference within 24 hours! We have been with Terminix since 1976. They have always been prompt with service and fix problems. Our quarterly pest spray tech, Chris Rice, is friendly and professional. Very pleased with being able to make a quick appointment. I think Chris is great! As long as you keep the termites away and pay for any damage they cause if your treatment fails, I am happy. I hope I don't ever have a repeat of several years ago when I had to threaten to contact the attorney general of the state of NC because Terminix ignored my complaints about termites and the swarm was so heavy that my kitchen was full of termites. That is when I threatened to call the AG and I finally had to speak to the manager before anyone would come out and inspect my home. To Terminix's credit that did pay for repairs but it should not have taken me almost 6 months to get any action from Terminix. Great service and very nice. Very knowledgeable and polite technician. Excellent service. Great service that is always punctual and willing to go above and beyond whenever they are called upon. The technician was thorough and friendly. So far I can tell a big reduction of the number of insects getting inside. Top notch. Service personnel are professional, cordial and knowledgeable and took time to explain processes and the reasoning behind them. Thank you. James Thompson was extremely helpful and informative. I appreciate them getting my termite problem solved super fast! The service has been professional and unobtrusive. I am very satisfied with my service with Terminix. The team at Terminix did a great job. They work in a tinely fashion and are very professional. I now no I have less to worry about with my Terminix warranty. Very pleased with our experience. 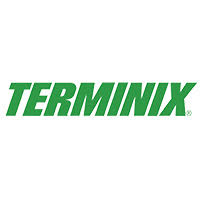 Appreciate your reliable and courteous service for all the years we have used Terminix....Thanks!